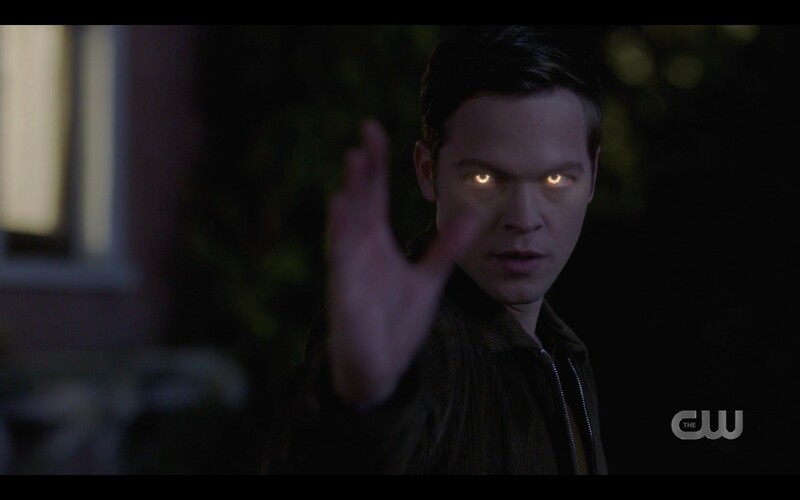 My review of last week’s Supernatural isn’t exactly what it would have been if I’d written it right away. 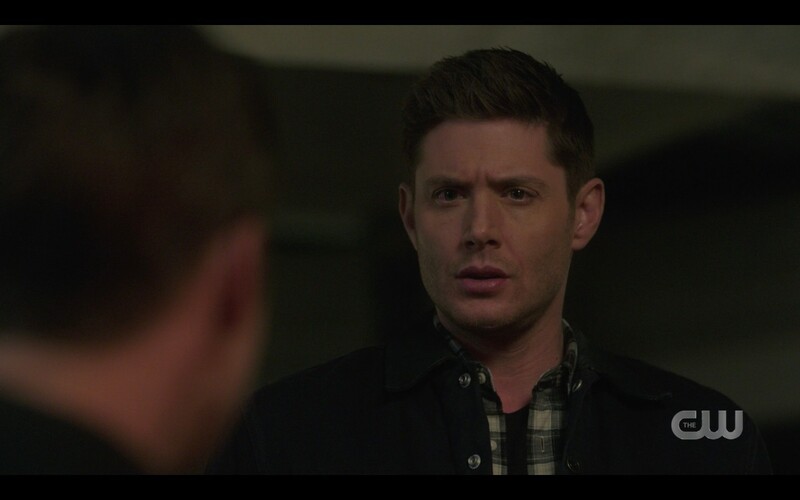 That’s because the world of every Supernatural fan careened off its axis on Friday when it was announced that the Show would end after one more season. 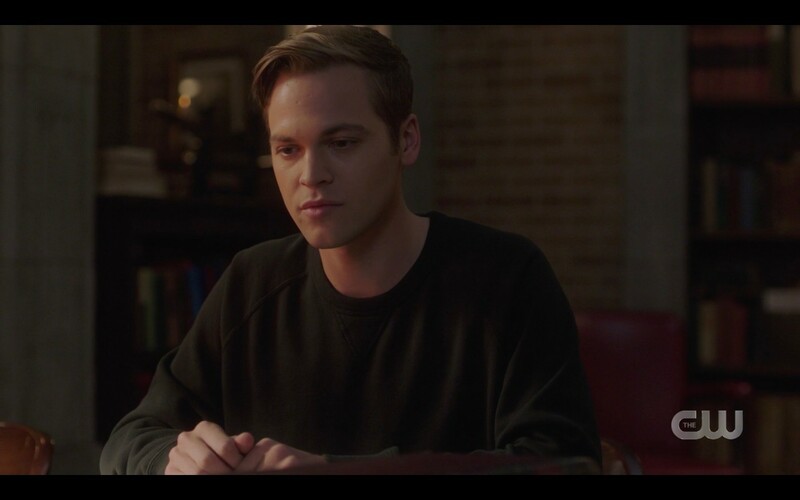 Most of us have been very emotional since, and when I went back to re-watch this episode, it was through a very different lens. 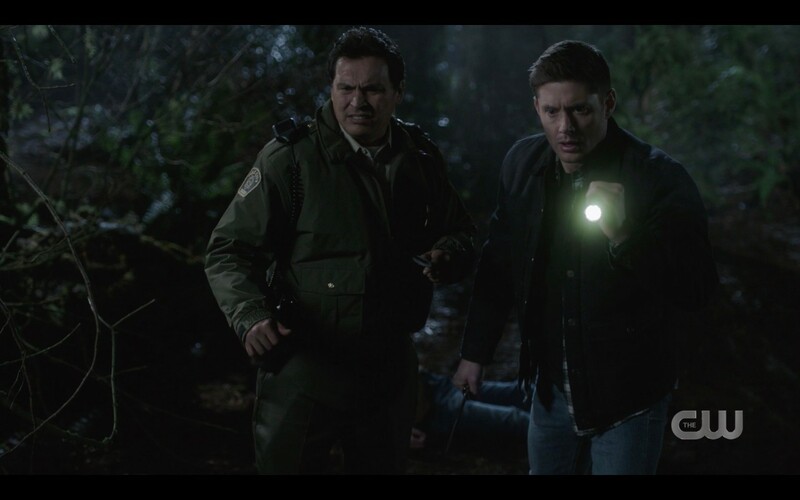 A lens that has me wanting to cherish every last second of the Winchesters and company that I can get before this wild ride is all over. 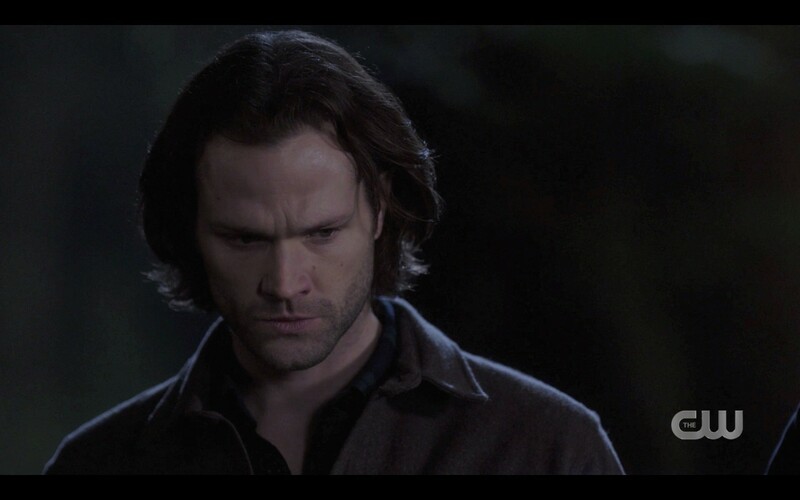 This may not have been one of my favorite episodes, but it gave me Sam (Jared Padalecki) and Dean (Jensen Ackles) on a hunt and an emotional story with Jack, and I’m feeling grateful. 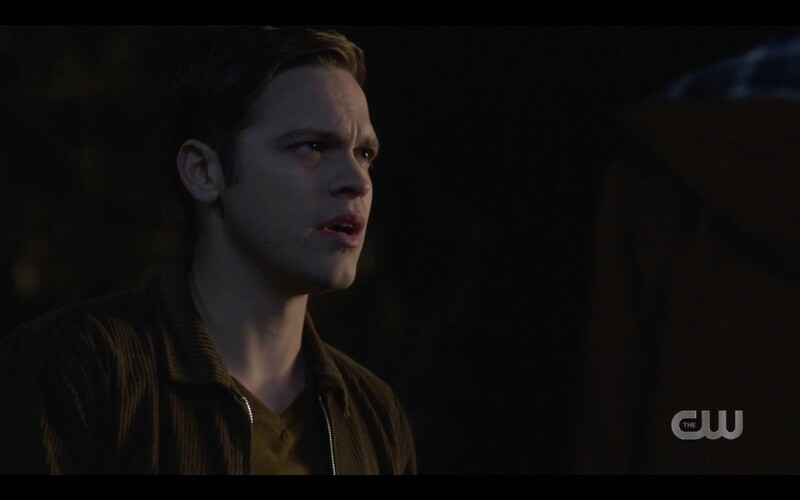 ‘Don’t Go Into The Woods’ was written by first-time writer Nick Vaught and Davy Perez, both of whom are avid horror fans, so we knew this episode would be heavy on the horror tropes. It started off like so many horror films do, with a young couple making out in the woods and hearing spooky noises. Which, for some inexplicable reason, they always think is the wind. When does the wind sound like that?? 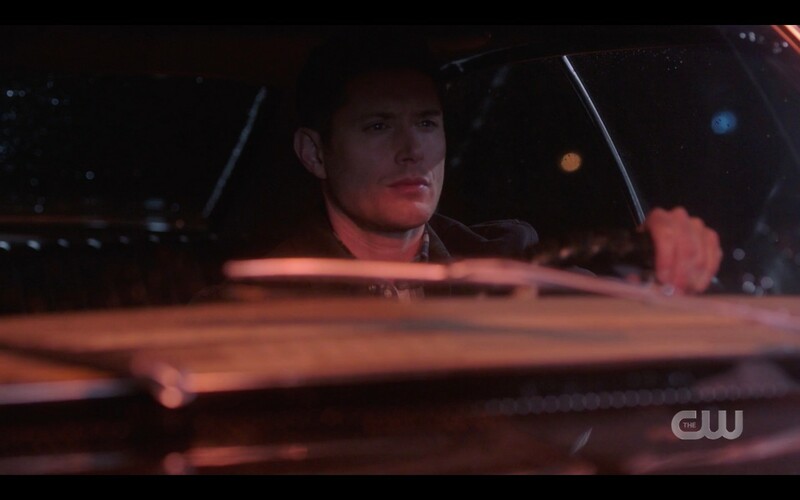 Instead of a monster rapping on the car window, we get the horror trope curve ball, since it’s the boy’s gruff dad – who’s also the town sheriff because of course he is. The young woman decides to give them space and go off to the bathroom, which is a shack in the middle of the woods and OMG WHY WOULD YOU DO THAT YOUNG WOMAN??? Even if it wasn’t scary as hell I wouldn’t sit down on the toilet seat like she does, btw. But she does, and the eerie whistling starts, and then we see the deformed clawed hand reach over the stall door. Cue screams! That scene was nicely done, scary and disgusting and we didn’t get to see the monster which is always scarier anyway. 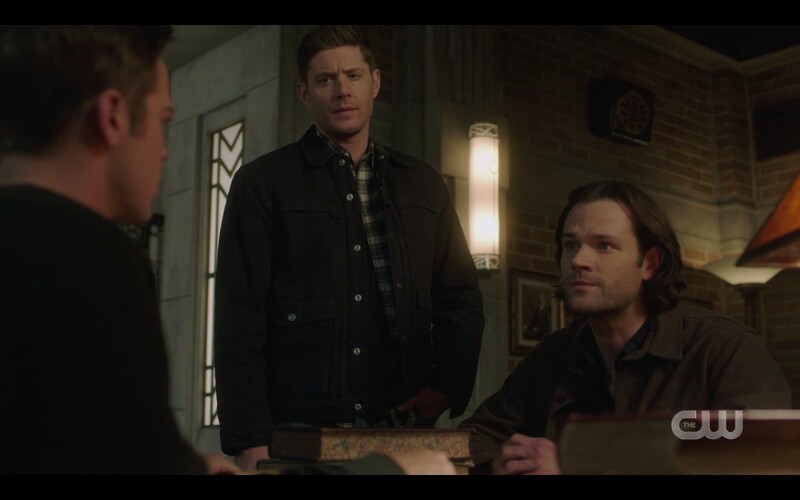 Sam shares the case and offers to go get Cas (Misha Collins), but Dean explains that Cas left that morning, feeling too cooped up and needing to stretch his legs. 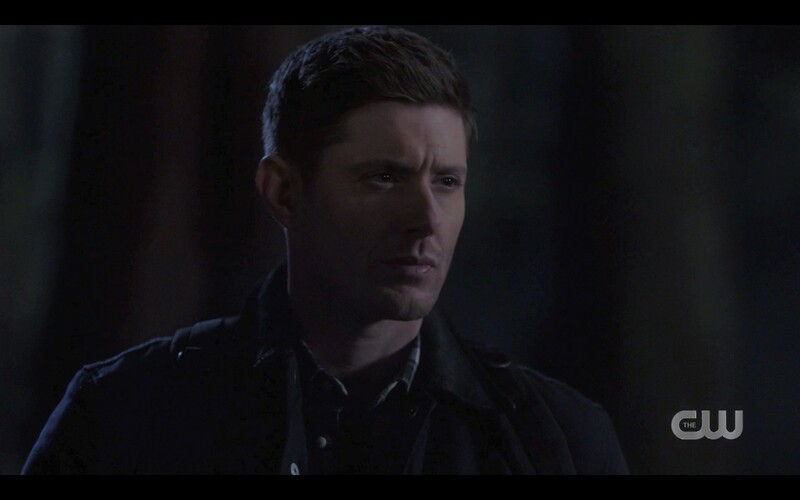 Sam asks about taking Jack, but Dean says no, that he’s gotten them in trouble before with his powers and he just got them back. 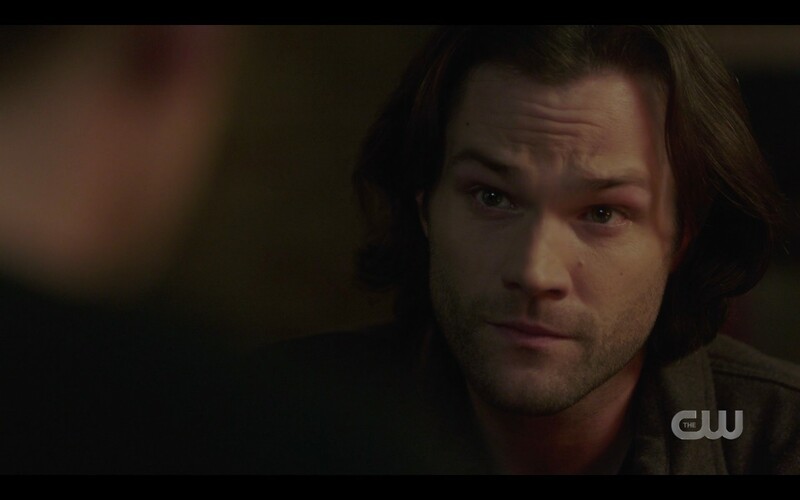 Much to Sam’s disagreement, Dean doesn’t tell Jack the truth though, instead making up a fairly lame story about Jack needing to be there in case Mary comes by (why?) and them needing him to go on a supply run. 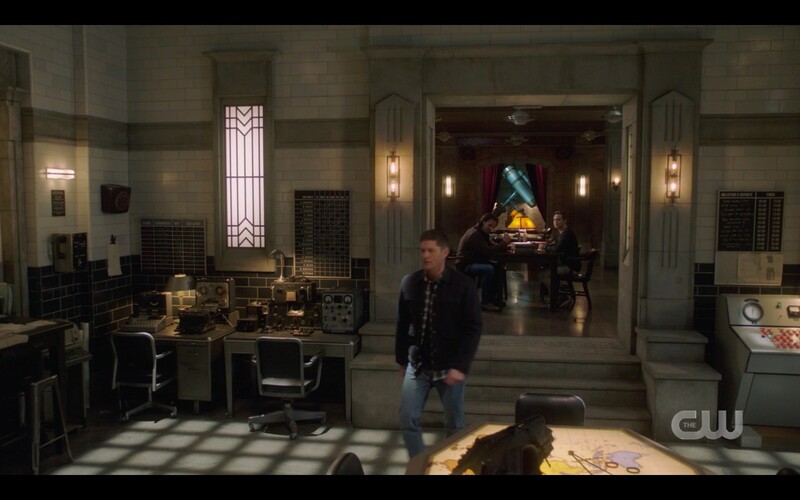 Winchesters in FBI coats and fed suits, and once again I’m hit by a wave of anticipatory nostalgia that I have to swallow down. The Sheriff (Adam Reuben Beech) isn’t nearly as moved as I am, not exactly wanting them there but reluctantly allowing them to examine the body of the murdered young woman. Also, the body is seriously scary because her eyes are OPEN. *shudders* Nice work, someone. 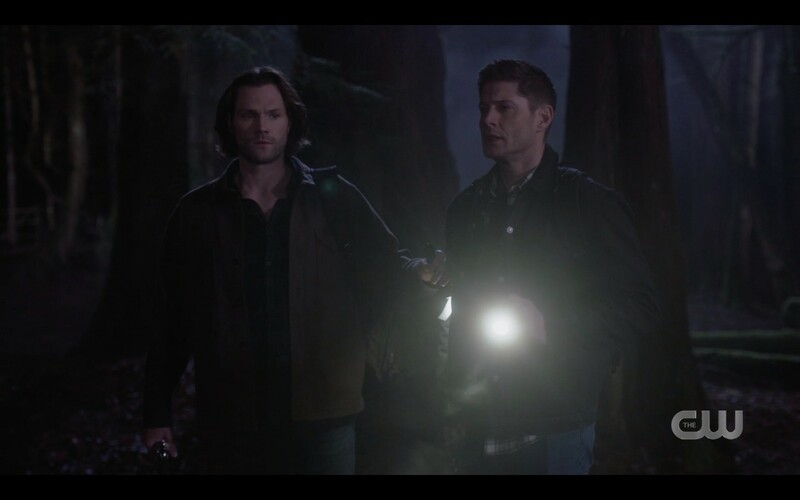 So, of course, they head into the woods as soon as it gets dark. 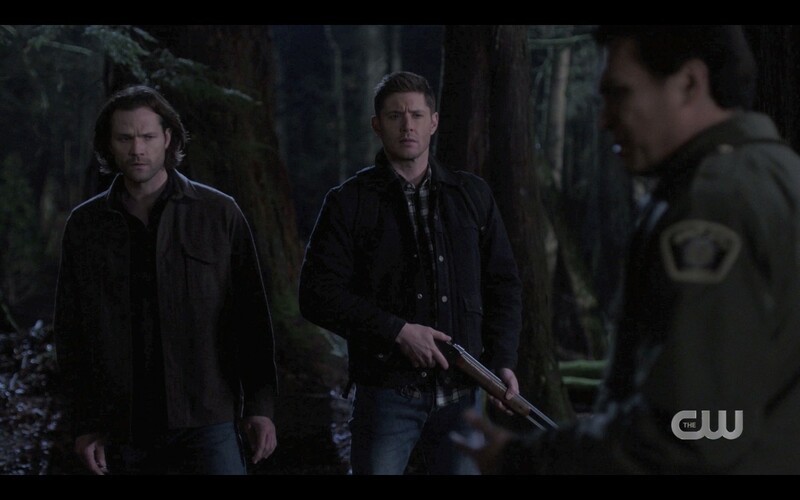 Love me some Winchesters. 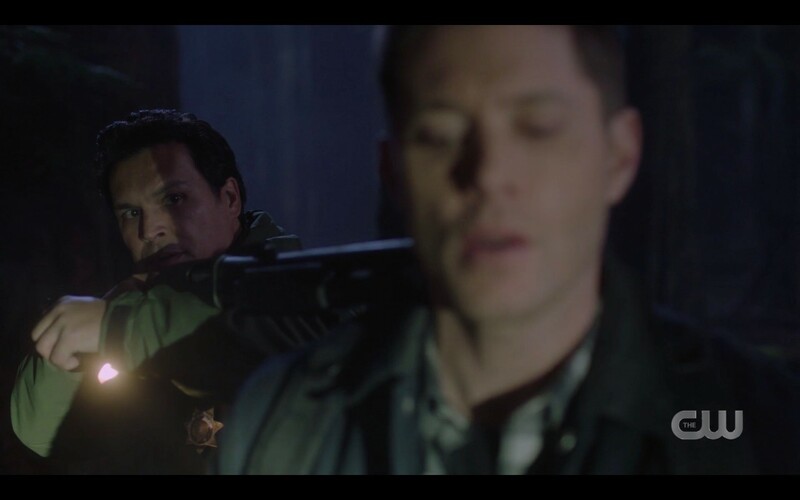 The Winchesters sense that he knows more than he’s saying, so they let him know who they really are and give him his gun back and ask for his help. The Sheriff tells them more about the Kojunta they’re hunting, which is a really morbid and gruesome story about a young settler whose family was starving to death – so he took extreme measures. The Sheriff’s tribe cursed the young man to be a Kojunta, to wander the forest endlessly hungry. The Sheriff fills in the missing information – you can kill a Kojunta with a silver blade to the heart. He lures it out the door, where the Sheriff is waiting to impale it with the silver blade. The monster melts into a disgusting pile of goo just as Sam staggers out the door, slightly the worse for wear but okay. 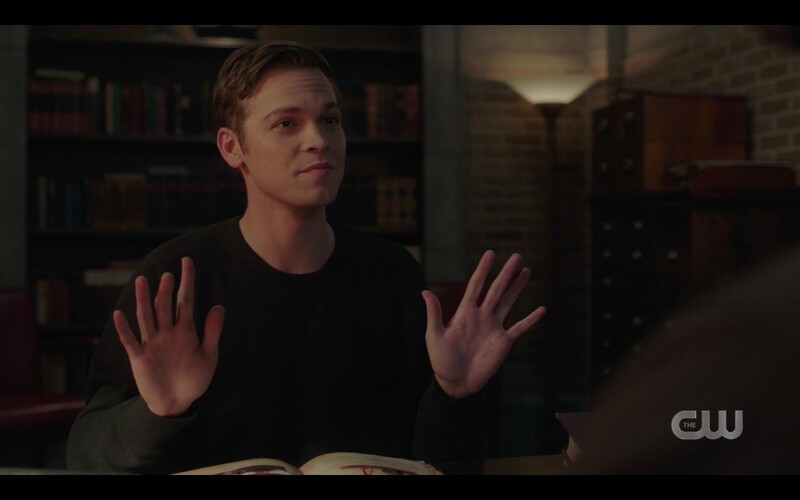 Stacy and Max are continuing their romance and Eliot is obsessed with Sam and Dean and currently watching episodes of The Ghostfacers. They befriend Jack, who absolutely eats up their interest and tries to show off what he knows. 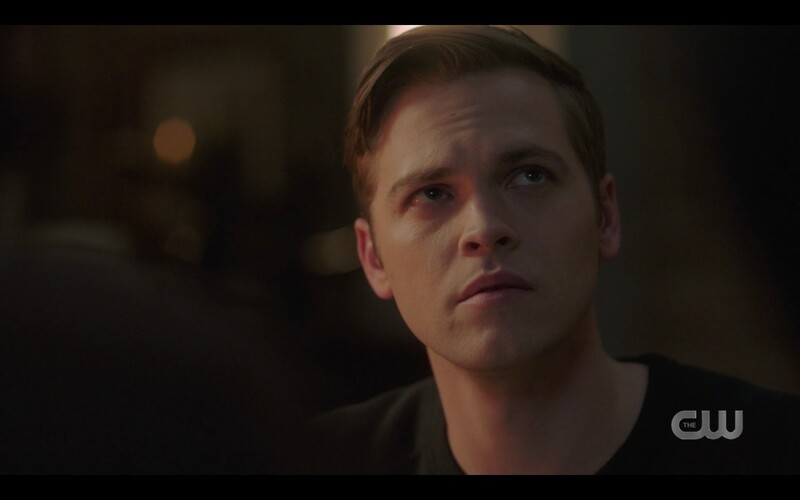 He’s like every young teenager who desperately wants other kids to like him, and is willing to do whatever it takes to try to seem cool, and it breaks my heart. 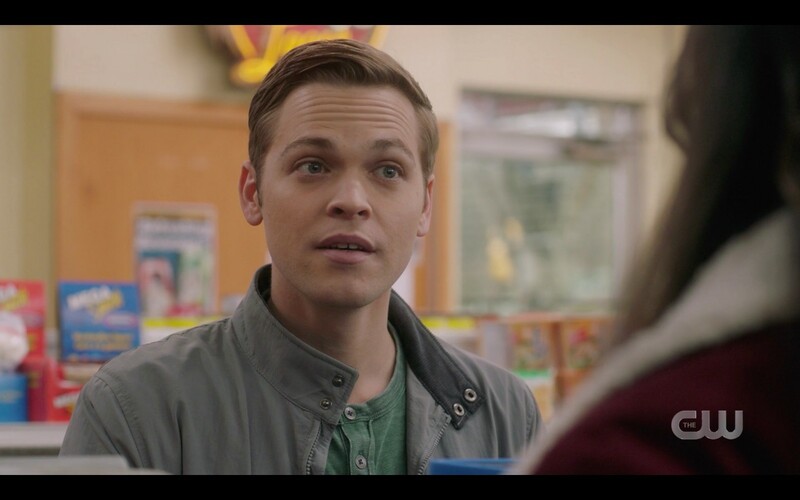 Oddly, the teenage clerks are allowed to sell him beer, but when they ask for ID, Jack looks perplexed. 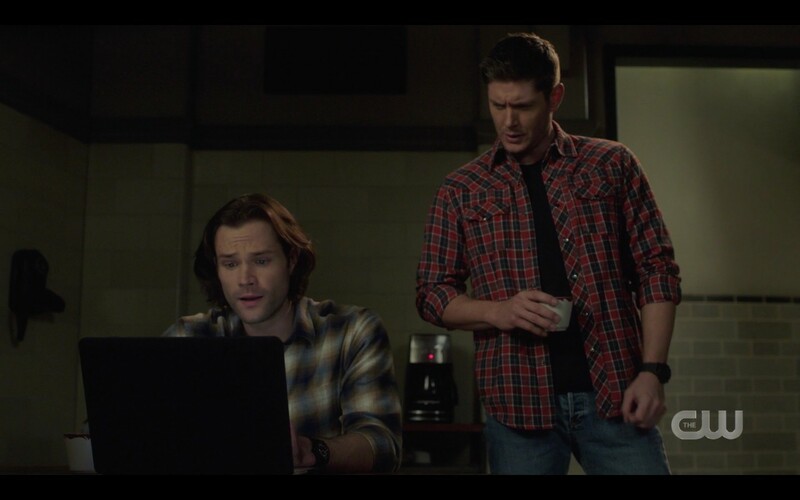 Jack joins them at a remote cabin later that day, bringing some of the Winchesters’ books on monsters and demons. 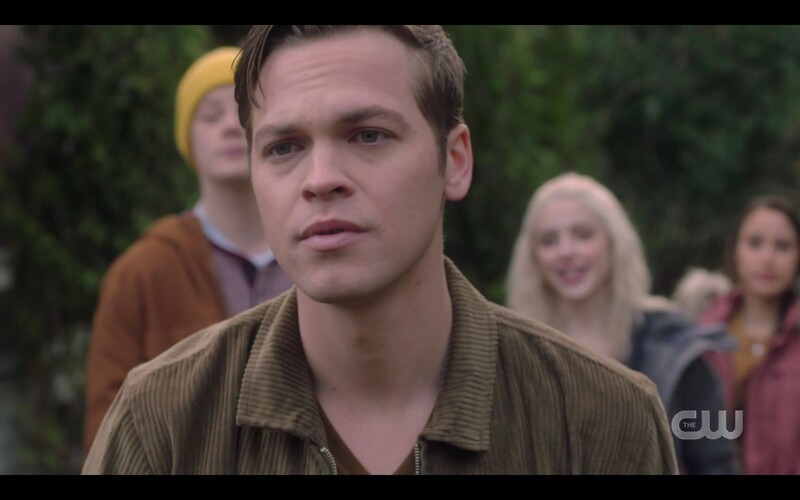 Max and Stacy flirt and part of me thinks aww that’s cute and part of me keeps wondering what the CW is doing with these kids and if they think we’ll just accept them as a replacement for Wayward Sisters. Except we don’t know or care about them so pretty sure the answer is an across the board no. Or perhaps the network just thinks the cast is too old and they need actual teenagers, which again, NO. 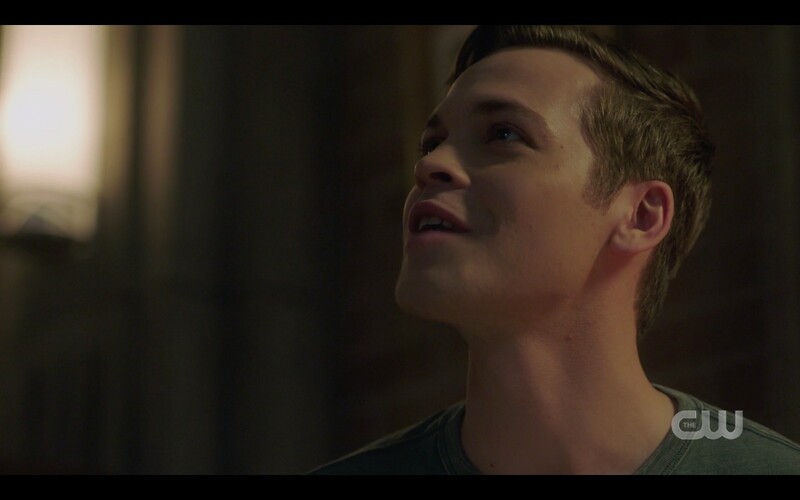 Of course, the kids become frightened and tell Jack to stop, but he’s beyond listening, lost in the heady thrill of being able to impress someone. They do tell Jack the truth when they get back to the bunker. 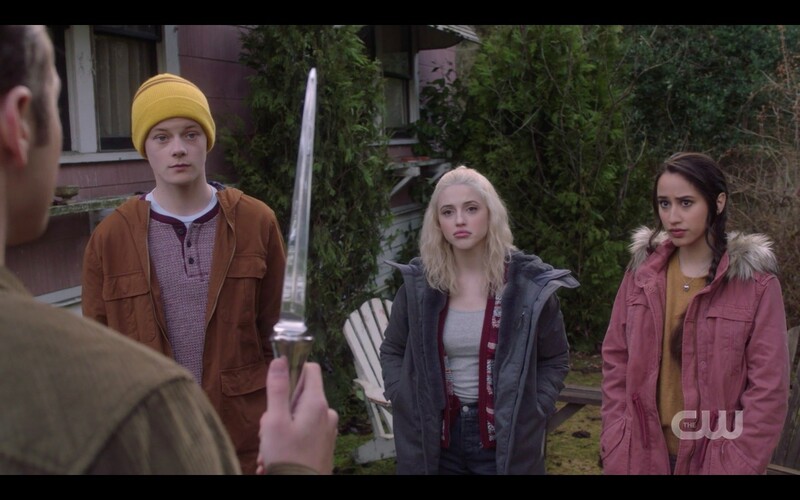 It would be a touching family moment, except Jack doesn’t tell them about the incident with the kids, just calmly promises them that he won’t use his powers without permission. 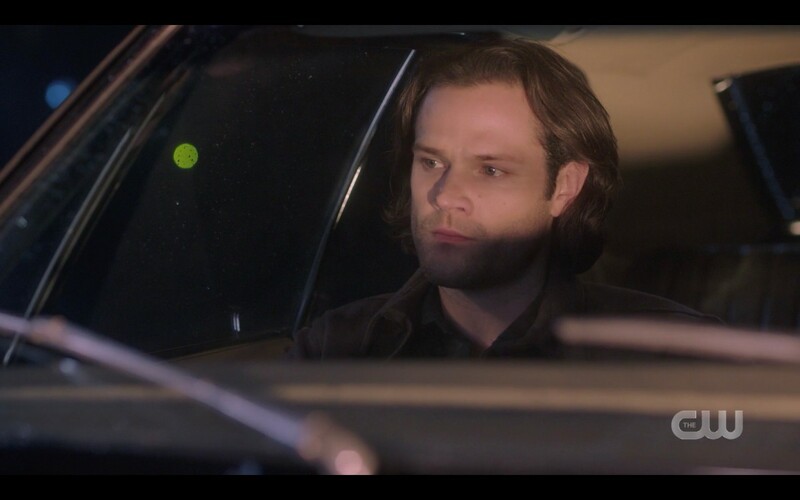 Dean heads out to get the beer, and Sam sits with Jack. It’s an ominous ending once again. I found that I liked the episode more on second watch. 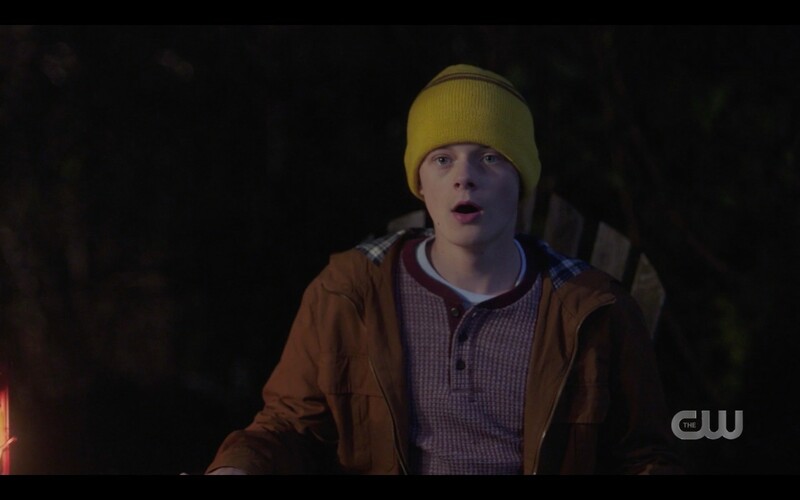 On first watch I was impatient with its slow pace, and with the focus on the teenagers. 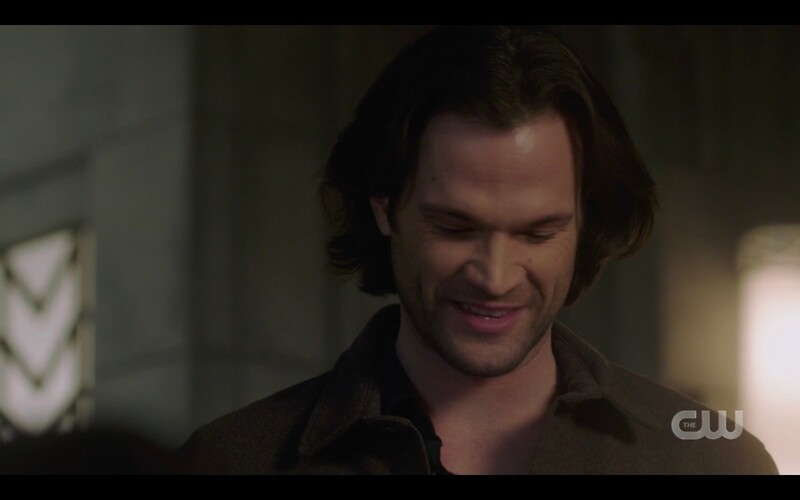 On second watch, I appreciated the emotion of both story lines more – and like I said, I just feel incredibly grateful to still have Sam and Dean on my TV screen. 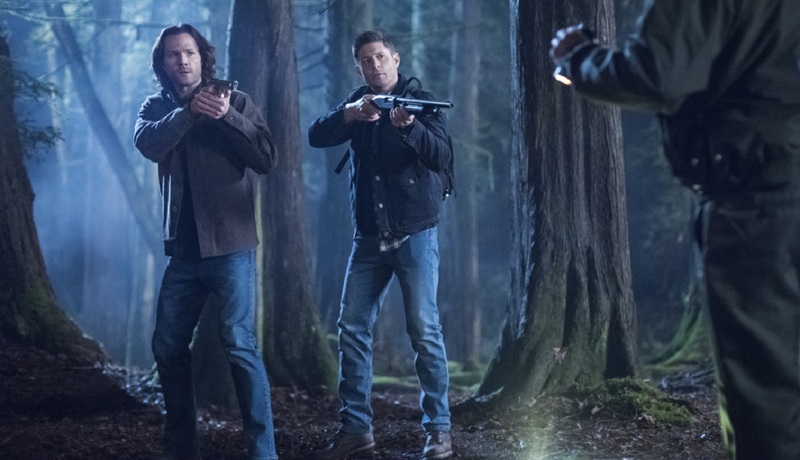 Supernatural Season 14: A confident brotherly duo, on steady footing with each other despite the emotional baggage, do the same. Both with a guy named Tommy as a main character. 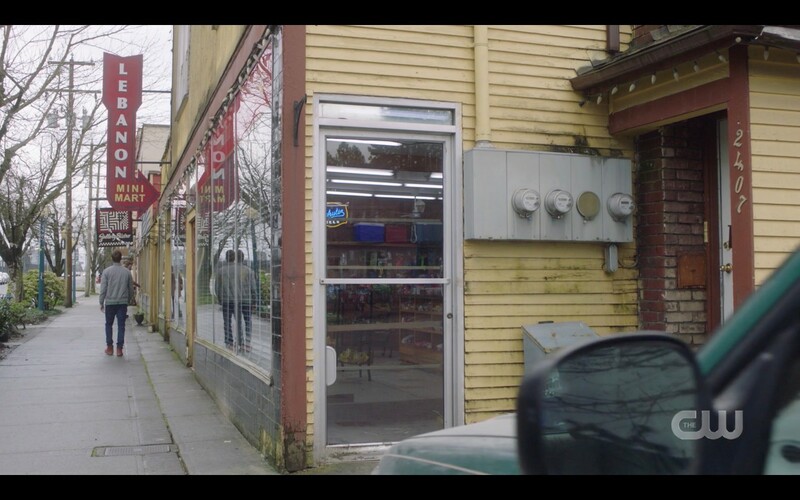 That parallel may or may not be intentional, but it almost serves as a metaphor for how the show and the brothers have evolved. Also, fandom is brilliant, and I love this damn Show. 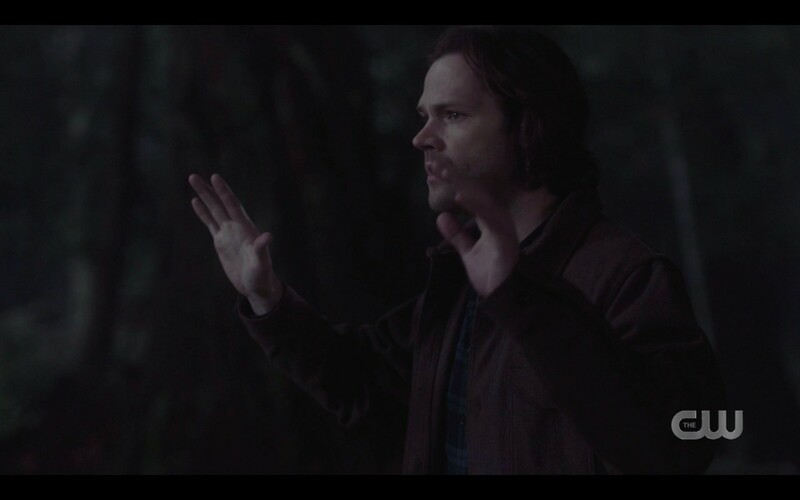 Four more episodes of this Supernatural season, and then we’ll go through the very last hiatus (hellatus) that the show will ever have. It will be a year of lasts, and I’m already thinking of buying stock in Kleenex.